Chrissy Teigen Shares Funny Photo Of Her Bed After A Spray Tan | [All Things Tanning] For Tan Fans! 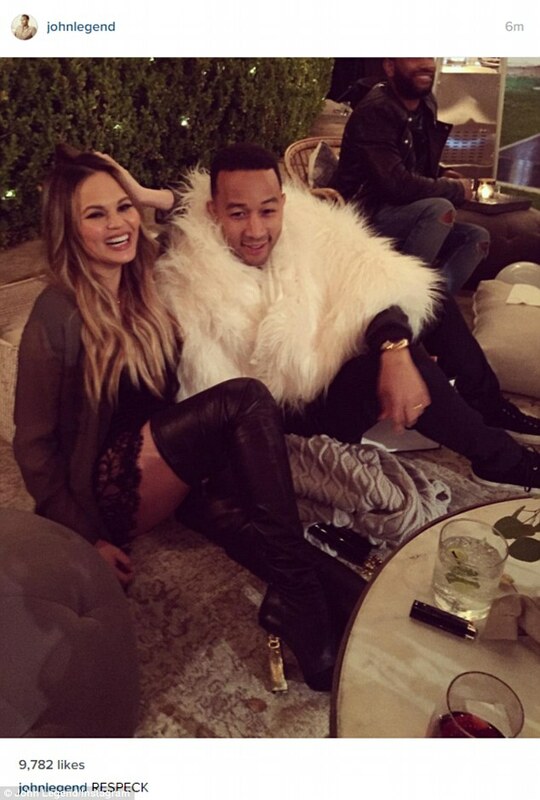 During her pregnancy Chrissy Teigen was sticking to a low-maintenance beauty regime. However on Saturday the 30-year-old Sports Illustrated model shared a funny photo to Snapchat after a spray tan went amiss. In the image of her bed you can see an outline of her fake tan, which was so detailed it even showed imprints of her derriere. ‘Spray tan diaries’. Chrissy Teigen shared a funny photo of the imprint on her bed from her spray tan to Snapchat on Saturday. The star, who gave birth on April 14, also took to Twitter the previous evening to bemoan the problems of spray tanning while breastfeeding. Candid. The 30-year old also bemoaned the challenges of spray tanning while breastfeeding on Twitter. Since the birth of her daughter Luna, Chrissy has been sharing many snaps of her and her newborn, and her mother has been getting in on the action too. Vilailuck Teigen recently posted some sweet family photos of Chrissy, her husband of two years John Legend and the baby at home. One of the photos that was shared on Vilailuck’s Instagram account was of four ladies, including Chrissy, as they smiled and joked around for the photo (see Header image). Chrissy could be seen kissing the air as she holds baby Luna who is carefully wrapped up in a blanket. How cute! 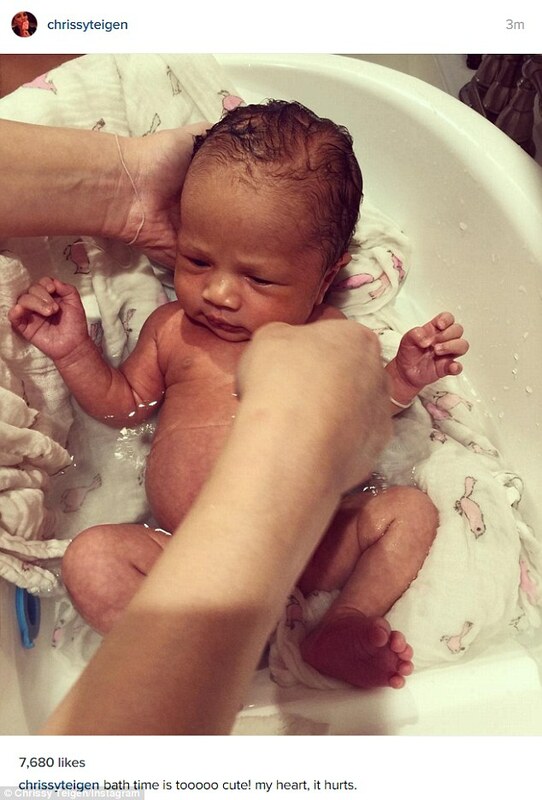 Since the birth of her daughter, Luna, on April 14 Chrissy has been sharing many snaps of her and her newborn. Date night. Despite just having a baby it seems the model and her husband are still making time for each other. The model has been showing off her svelte and enviable figure ever since giving birth. Chrissy has spoken in the past about her fertility struggles, and used IVF to conceive her child, revealing she hand-picked a female embryo to ensure she and John would have a daughter. Baby on board. Chrissy is pictured here in March, a month before giving birth to little Luna.